When you take great vacation photos you will create some great "go-back" moments to recall some fun times with your family. Betty White recently appeared on Saturday Night Live and during one joke about the tons of photos posted on Facebook she mentioned that "when we were kids, seeing photos from someone's vacation was considered punishment!" Use the following tips to help to make your photos even better. Vacations naturally present you and your family new opportunities with new locations and relaxed atmospheres in photogenic settings. Add a Birdie toy and make it fun to smile for the camera. Be a vacationer first and a photographer second. Unless your travel-mate or mates share your love of photography, keep the "hold it, stand over here" intrusions to a minimum. Take some special time for yourself in the morning or evening to go out and take advantage of the best lighting of the day and allow your creative juices to flow. Don't load yourself down, but bring a tri-pod and run back out to places that you feel that you need to grab a shot or two and take them at your own pace. Far away is boring! Find a key site in every destination to remind yourself that you were there. But, most of us tend to walk back too far to be safe to not "miss" anything and our subjects become SPECKS. Zoom in on your family and get close to your subjects. A close-up look of your child just after they have tossed a coin into a fountain will be cherished more than the picture of the fountain! Get professional post cards of the monuments or arial views. Do not take photos of your Kids in front of every monument. One happy photo is worth a hundred forced smile vacation photos in front of the world's "largest ball of twine." Stay witin six feet of your subjects and if you want to include more of the background, back up, but move the group of people with you, don't leave them in the distance. Turn your flash ON even outside. Sounds funny but most camera settings will take in all the surrounding light and leave the faces of your subjects in the dark. "Forced flash" or "flash fill" will keep your camera flash on no matter what. It is worth a review of your camera's manual for the special "beach" or "snow" or settings that correct the problem of dark shadows. If you hand your camera over to another person to take your photo and you don't see a flash, ask for a "take over" ...it will be worth it. Vary your angles. The world isn't always at eye level. Most of us just raise our cameras to our eyes and shoot. Use your imagination, a travel photographer works from many angles. Up into a set of trees with sunlight breaking through them, down over a ledge or between a slatted gate for examples. Strive for "where did you take that from" comments. Engage people with your vacation photos of your trip. Prioritize your photos. Thin them down, thin them out, just thin them. I know they all look good to you at the time and you had spent all that money at each location, (and every photo of your child is cute) but, people's attention spans are shorter than you think. Digital cameras allow us to snap off and store literally hundreds of photos. Blah, blah, blah. Be a photo editor and ask yourself, is this photo worthy of framing? You know which ones you are proud of, don't bring them down by cluttering them up with others in bulk quantity or put sub-standard photos into cyberspace! 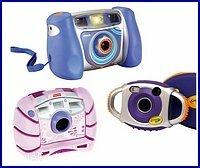 Make sure kids have an age appropriate digital camera on vacation. Instilling a passion for photography in kids gives them skills they will need for the rest of their lives. They may even slow up enough to appreciate what the grown ups are making such a fuss over. Take your cables that came with your camera to plug into a hotel TV or monitor or bring your lap top or other way that you can have a screening and a review for your family of the vacation photos that you have taken during the day. If you were on the "whirlwind" tour, it will help to reinforce each stop in their minds and give them reasons to cooperate for you the next day. Pay attention to any reactions to vacation photos if they are negative. Ask kids that shy away from seeing their own photo if there is something you could do to make them feel better about themselves. Maybe provide some "photography free" times when you leave the camera in the bag and you and your family just enjoy yourselves without worrying about having to pose or look for the perfect shot. Be creative, change your angles, take advantage of early morning or evening lighting, move in closer to the smiling faces in front of you, priortize the wining shots and viewing your vacation photos will not be punishment ever again. They may even become a real tweet!